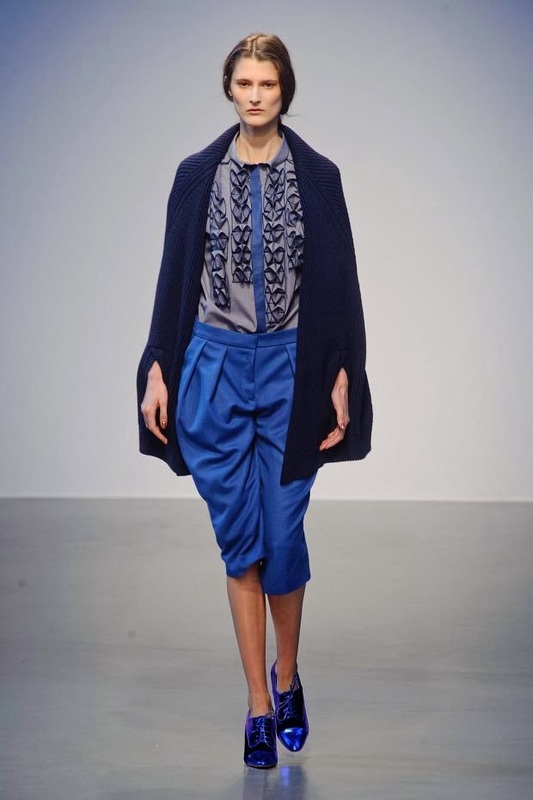 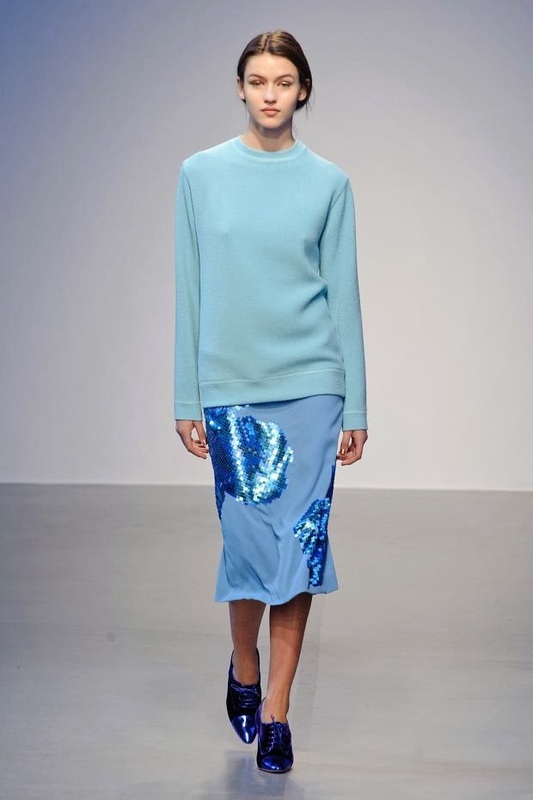 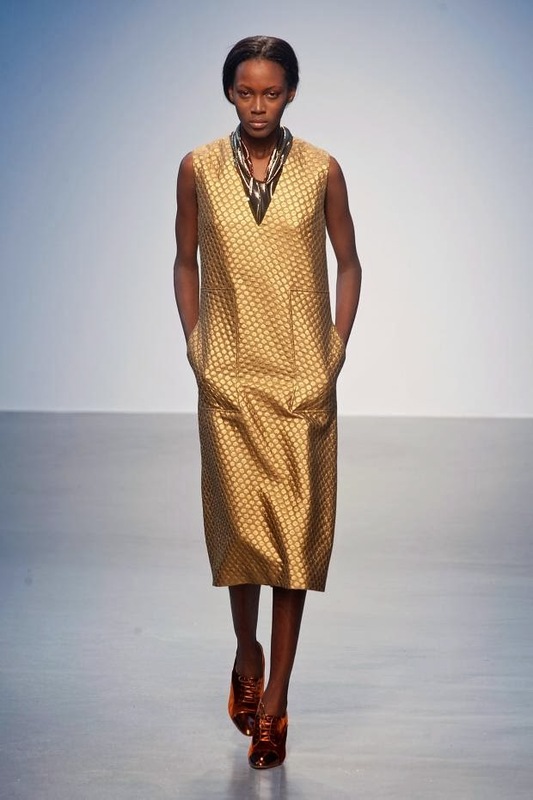 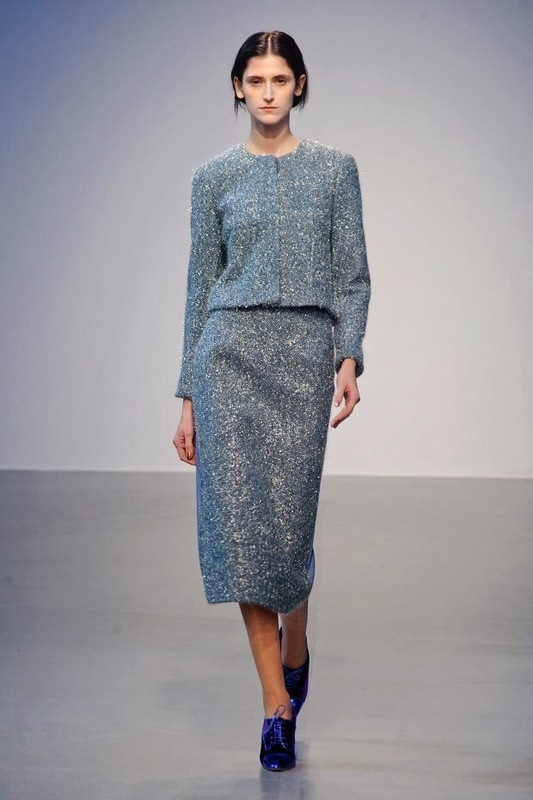 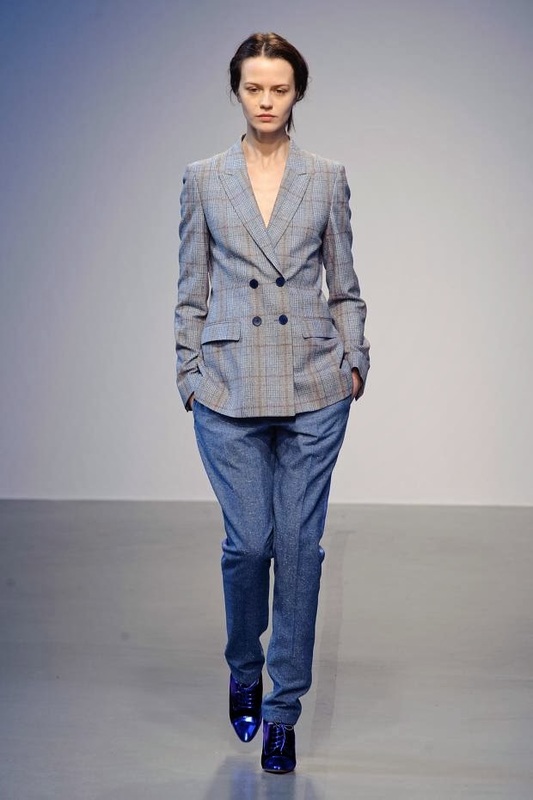 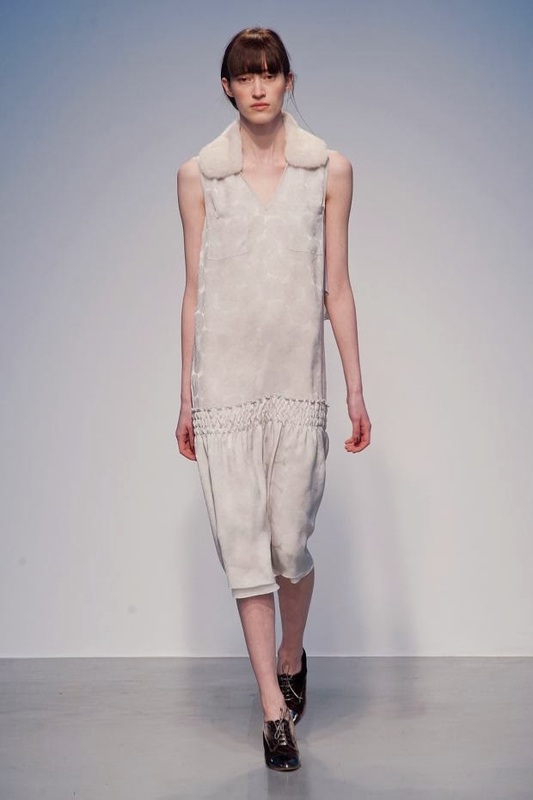 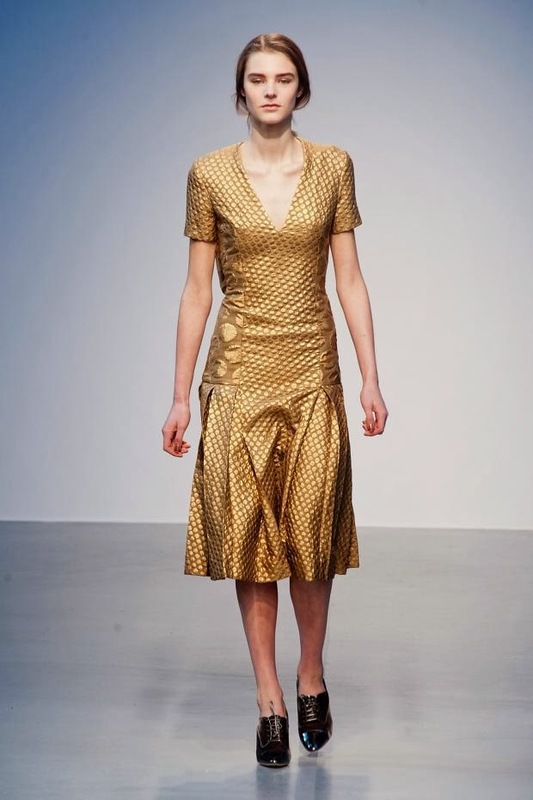 I wonder what Richard Nicoll's favourite colour is this season? 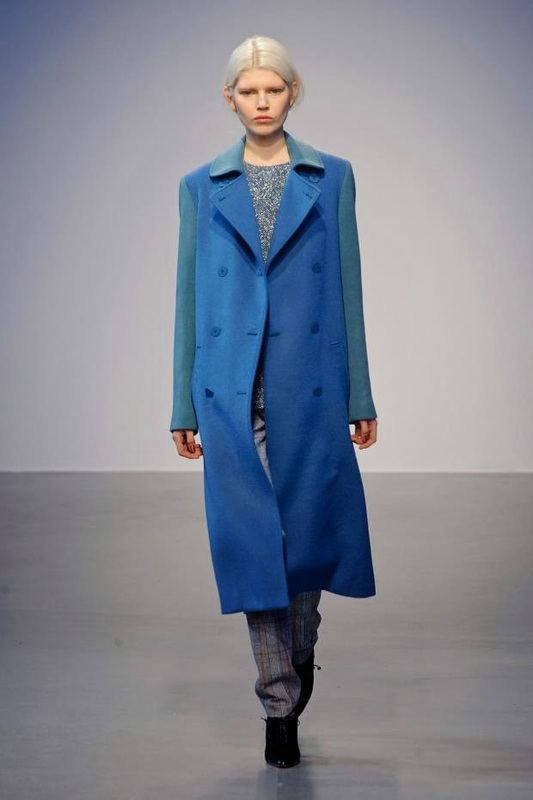 The Autumn/ Winter 2014 collection was his best yet, in my opinion. 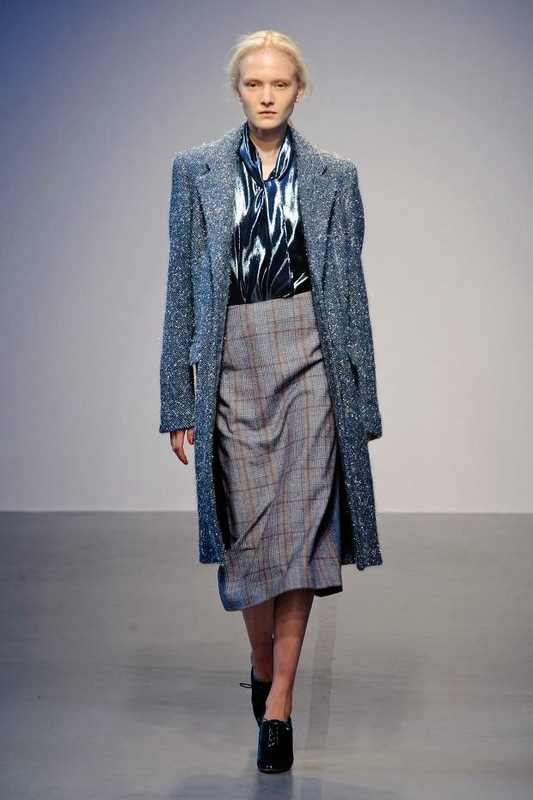 The London-based, British/ Australian designer loaded up on lots of blue - all the shades, from navy to pale pastel and electric - and added bronze, purple and milk white to a simple collection of mannish, 40s-inspired looks and wearable, feminine separates using tweed, metallic, knitted wool, silk, leather, fur trimmed, checked and pleated fabrics.